'Beefy' hasn't fought in his home city since he successfully defended the WBO Super-Welterweight World title against Predrag Radosevic in June 2016 and the rejuvenated Scouser believes he has something to prove to his new promoter in front of his home crowd as he targets another shot at World glory. "I’ve got to prove a point to Matchroom that I was worth signing and show them that they made the right decision," said Smith. "Everything has come for a great time for me. I’m back in Liverpool topping the bill against a decent opponent that a lot of the British public know. The buzz since the fight has been announced has been great for myself. "I feel like I'm turning pro all over again. This is a new lease of life for me and exactly what I needed at this stage of my career. I’ve got to do a proper job on Sam and a proper job is what I truly believe I will do. It’s my tenth fight at the arena in Liverpool and I’m 9-0 in there, so I look forward to making that 10-0." 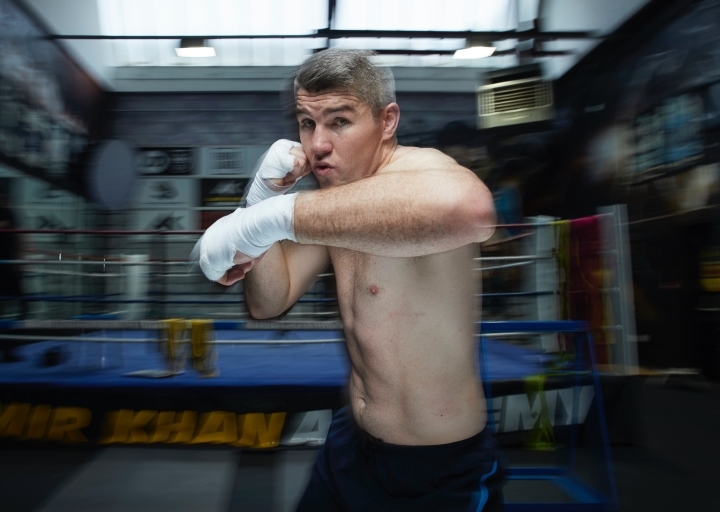 I can't remember a time I lost money on a Liam Smith fight. Good motivation but aint provin nothin till down the road it seems. Like Smith though. Well schooled and tough. Could be a handfull for some.